Finally! The Dong ticket sale has started! You can buy your ticket for three days of finest guitar music with almost 30 different noise machines and bands, the best atmosphere, affordable drinks up on the beautiful Dong hill – exclusively in our online shop! Of course, camping is included. Be quick – or do you want to risk taking your time considering how fast we’ve sold out before? We can’t wait to spend time with you from July 17th to 19th! Dong ticket sale starts today at 12 noon! Starting today, at 12 noon, the ticket sale for the thirteenth Dong Open Air is going to start. The festival will take place from July 11th to July 13th and tickets never last long. Make sure you get your ticket for €44.99 including parking and camping. The Dong Open Air will continue to be a true heavy metal bargain, providing you with high-class brand beer for only €2 per 0.5l. Of course, you can already stock up on beverage vouchers when buying your ticket. 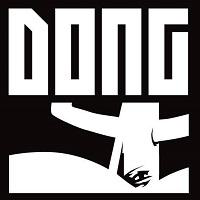 You can also find tickets for our Dong Winter Party, party themed t-shirts, and ticket/shirt bundles, as well as the last remaining illustrated D.O.A. books in our online shop, making sure that you get all the right Christmas gifts for all the right people.